It might not be serious but anytime one of our loved ones is ill we naturally are concerned. And of course when it is one of our grandchildren we wish we could rush to her side to give her our love. Turns out Rachel – she’s younger in this photo – is in hospital and so because we cannot be by her side we reach out in prayer. That’s the wonderful nature of prayer – it reaches beyond geography. It reaches beyond time too. The invitation from Scripture is to cast all our cares on Jesus. This isn’t a magic wand kind of action, but that God who is the author of life can bring healing and life to any situation. So we pray for little Rachel that she will be held in the arms of God tonight and healing will come through modern medicine and the hand of God. Who knew that when we welcomed Jason and then Philip into our home as newborns what the journey would look like. Apart from the good Lord, we certainly had no idea. From diaper rash, cut lips, bruised legs, hurt feelings and the occasional rash of anger or upset, there have been lots of challenges. Once the boys met wonderful young ladies in Susan and Amanda, it seemed like their launch into adulthood was coming full circle and they would head out to be families on their own and we would observe from the edges and be glad we were dealing with some of those issues over again. The truth of the matter is, however, that new worries and concerns replace the old ones. Parenthood seems is not for the faint of heart. In fact with two boys becoming four young adults and then two families with children growing quickly, there are additional demands on the heart of the loving parent. Don’t mistake my comment to imply that parenthood is a burden – it is far from that. There is so much joy on the journey – so much love to be celebrated that it could never be called a burden. But there are dynamics in life that mean we worry about our kids and grandkids, which is natural – isn’t it? So below are a few pictures that remind us how things change over time and represent the growing nature of our family. We love Jason and Susan, Phil and Amanda and all the grandchildren – Rachel, Ted, Beth, Carlyle and Fitz! And we look forward to what God will do in their lives in the years to come. 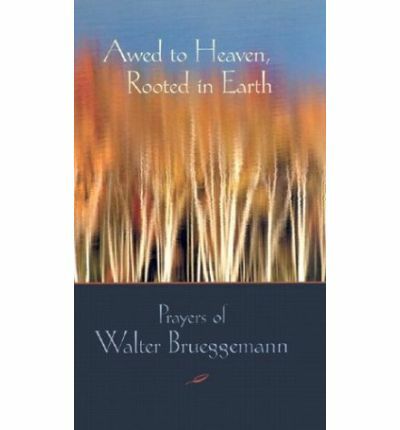 I’m not sure why I did not come across the writings of Walter Brueggemann as a younger man. His gift to me, and I suspect the church, is a way of phrasing things that connect not only with my head causing me to nod in agreement even as I am reading, but he causes my heart to agree. Not what on earth do we mean by referring to the heart as agreeing? It’s a strange phrase, and yet I suspect that some of you will know exactly what I mean. It is as if our spirit finds agreement with the spirit of the writer. We sense that it is not just our minds that agree but something deeper within us is in agreement. As my heart I agrees I find myself thinking there is a great truth here. I suppose that’s why I’ve been a reader of CS Lewis such a long time. He reflects the Gospel story clearly in the Narnia tales. He leaves me with no argument against God’s love and grace in Mere Christianity. So it is with Brueggemann. Here’s one of his prayers for your head and heart. and we are overmatched whenever we sit to deal with you. in ways that are proper to you and to us. where the last become first and the first become last. Amen.